Happy New Year! I hope you all had a lovely Christmas and are now fully recovered from the festivities. Thank you for all my beautiful Christmas cards and gifts. It is a get a way craft day, if you fancy a break from the housework, the kids, the hubby or just fancy some crafty company. Why don’t you come and join us. You can scrap & chat, knit & natter, bead and banter, make & mutter. Doesn’t matter what your craft is, older children welcome with an adult. Just bring along something to do. Cost is £11 for the day, there will be lunch a choice of rolls, crisps and homemade cake for lunch. There will be tea & coffee and homemade cake available throughout the day. New Year Party in the afternoon if there is enough of us. 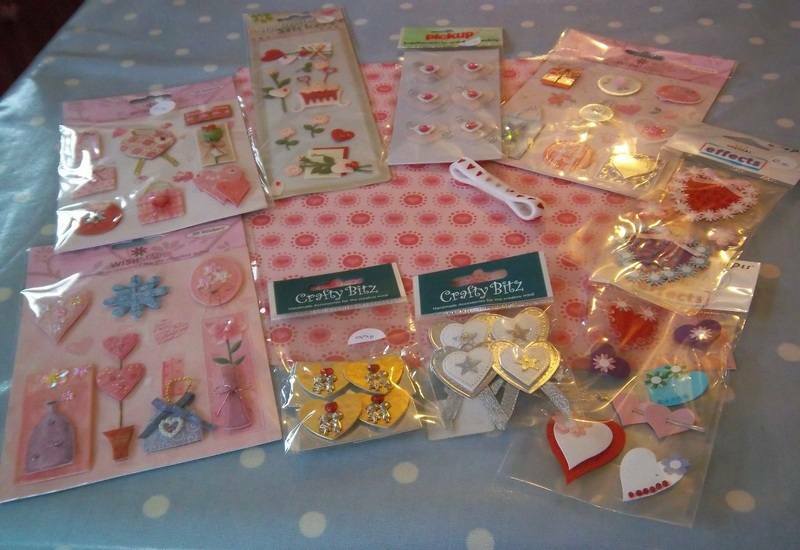 As we couldn’t fit a party in before Christmas, we will play a couple of party games with crafty prizes. Bring a plate of party food, we can talk more about this, once we know numbers. 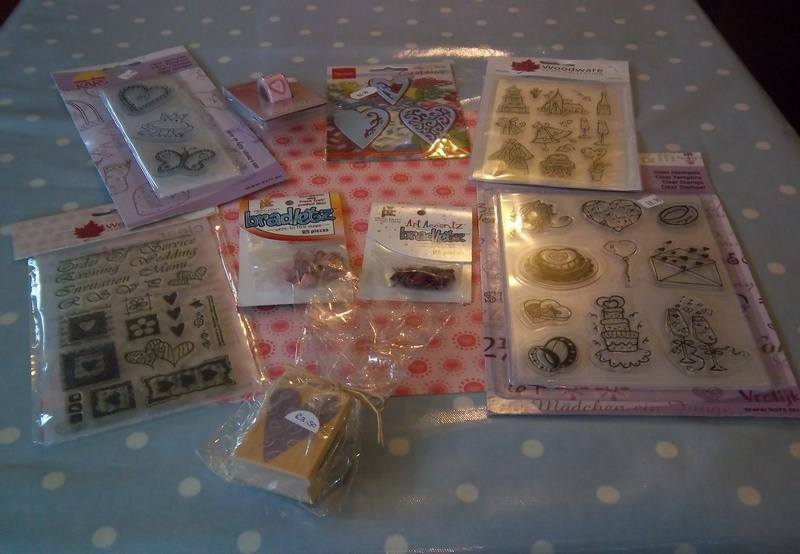 The next parchment date with Christine is Sunday 5th February, 2-4pm. £10 Beginners welcome, this class is suitable for all levels. Please let me know if you would like to book a place. A reminder about our Spring mini-fest on Saturday 24th march 10AM – 3PM at Landford Village Hall, Lyndhurst Road, Landford, Wiltshire. SP5 2AE. There will be demonstrations, stalls & a make n take. Refreshments for sale, admission £2. On the X7 bus route from Southampton to Salisbury. For those who have heard of Golden Acres Garden Centre at Landford, it is very near there. Unfortunately Jeanette & Debbie were meant to be with us for the day demonstrating, but had forgotten about a prior engagement. So have had to cancel on us, hopefully they will be available next time. But there will still be lots of demonstrations to watch. 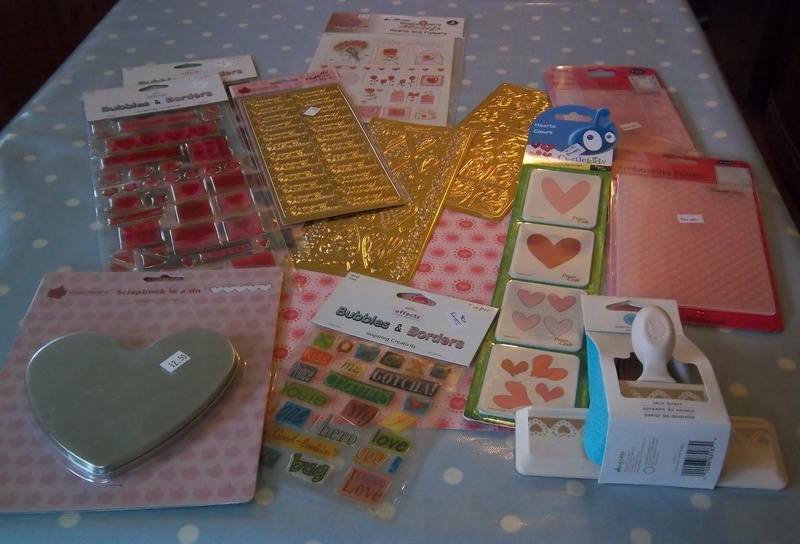 On the attachment there are photos of the valentine products, we have for sale at the stamp shack. Wishing you all a crafty 2012.